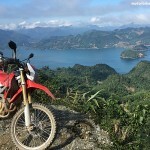 What would you expect to get after a motorcycle tour in Vietnam? getting faraway from the busy cites such as Sai Gon or Hanoi, heading to the one of the remotest and most peaceful areas of Vietnam, discover the hidden beauty, history and culture of the country? 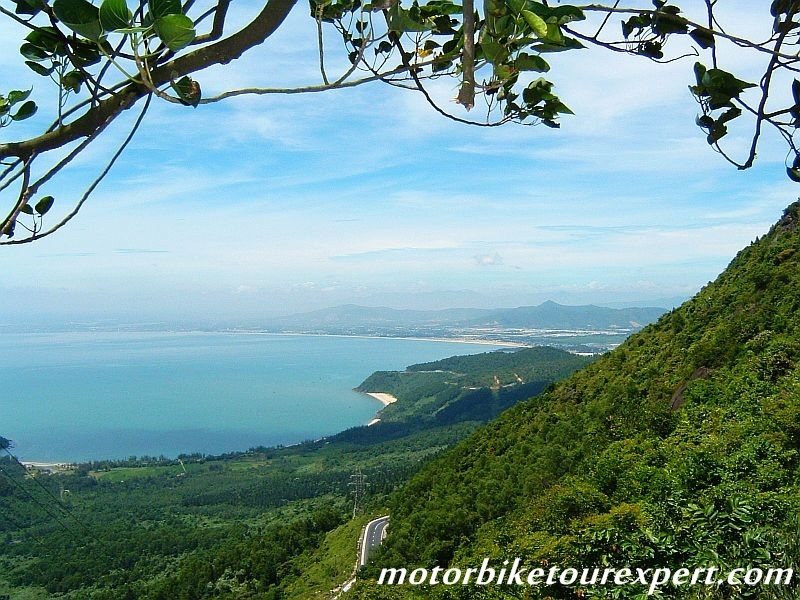 You can find it all here with this 8 Day Motorbike Tour from Hoi An. Besides riding motorbike on the scenic roads, this Vietnam motorcycle tour from Hoi An also offers many stops at historical sites in which you can learn more about the war history of Vietnam. The local team of Vietnam Motorbike Tour Expert will meet you all at 8:00 am, then start the tour after fitting the bikes, helmets and strapping the bags…We will head up North of Hoi An to visit the Marble Mountains, explore caves, pagoda on the mountains and sculptures which were made by hand from passion stone. We will take you along the My Khe beach which has been voted the most beautiful Beach on the planet. Then to Hai van pass, from here we can admire the beautiful panorama and enjoy the most beautiful scenery in Vietnam. We will then go down the mountain to visit amazing lagoon as well to see the Oyster farm. You can chose foods for lunch on the floating restaurant or on the beautiful beach without tourist as well have lunch here. We will then ride along quiet roads, stop to see the mushroom farm make by rice tree, see farmers working with fresh air and beautiful scenery filling the senses and stopping to take pictures via Tam Giang lagoon with beautiful views before to Hue. Stay in a standard hotel. It’s a long ride today and it must be the highlight of this Vietnam motorcycle tour, it offers plenty of stops at the historical relics besides some coastline motorbike ride and smooth Ho Chi MInh roads. First stop is in Quang Tri citadel which suffered 81 days and nights of fire bombing in 1972. We will follow small roads through the countryside before to Vinh Moc Tunnels, where an entire village went underground in 1960 to survive the bombing. Amazing include wells, kitchens and rooms for each family. Then onto the Hien Luong bridge was border of Northern and Southern Vietnam in the 1954. In the afternoon we will start the Ho Chi Minh trail motorcycle tour on the eastern side before arriving Phong Nha Ke Bang National Park. Stay in a guest house. It’s an easy an enjoyable day to explore Phong Nha National Park, we’ll take a morning motorbike ride to the Paradise limestone cave, Asia’s longest limestone cave. After a traditional Vietnamese lunch at the National Park’s restaurant, you can wander around the grotto systems or swim in Chay River. Phong Nha – Ke Bang National Park comprises an area of 85,754 ha and contains terrestrial and aquatic habitats, primary and secondary forest, sites of natural regeneration, tropical dense forests and savanna and is rich in large, often spectacular and scientifically significant caves. It’s short to spend just one day here but we hope the experience we have today at the park will make this Vietnam motorbike tour from Hoi An become much more interesting. As a specialist for motorcycle touring in Vietnam, we’re able to take you on the remote western branch of the Ho Chi Minh Highway through majestic limestone karst and spectacular old-growth jungle. 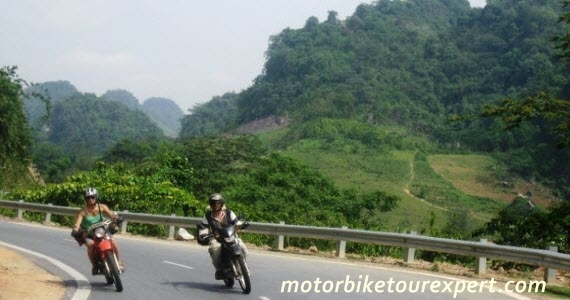 Words are not enough to describe the interest of this ride on the historical western Ho Chi Minh trail, We’re sure that you will wish the road have been longer. 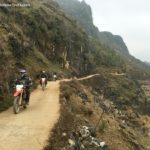 At the end of the motorbike ride we’ll have a interesting stop at the Khe Sanh museum that was built on the former battle field it another high point to make this become the best motorcycle touring day in Vietnam. After leaving Khe Sanh, we’ll continue the motorbike tour on Ho Chi Minh trail. We today will visit a lot of different hill tribes along the trail, stop for swimming in the waterfall then go to visiting minority village out near the town of Ta Rut we will visit the Co Tu, Pa Co minority people and walk through their village and one of the longest and most stunning passes in Vietnam while travelling on a new and quiet road, amazing scenery of primitive forests in the imposing Truong son mountain range. You will be surprised with the jungle, mountains, and the quietness. Stay in a guest house. It’s a big but great day of this Central Vietnam motorcycle tour, we’ll keep riding on the Ho Chi Minh road to highlands where you can learn about the Vietnam War before 1975 and visit more interesting villages of the ethnic people as well as enjoy the breath-taking nature of the area. Then along the way to visit other ethnic minority villages such as Xơ Đăng, Bana,… to learn their traditions, cultures. Stay overnight in hotel in Kon Tum. 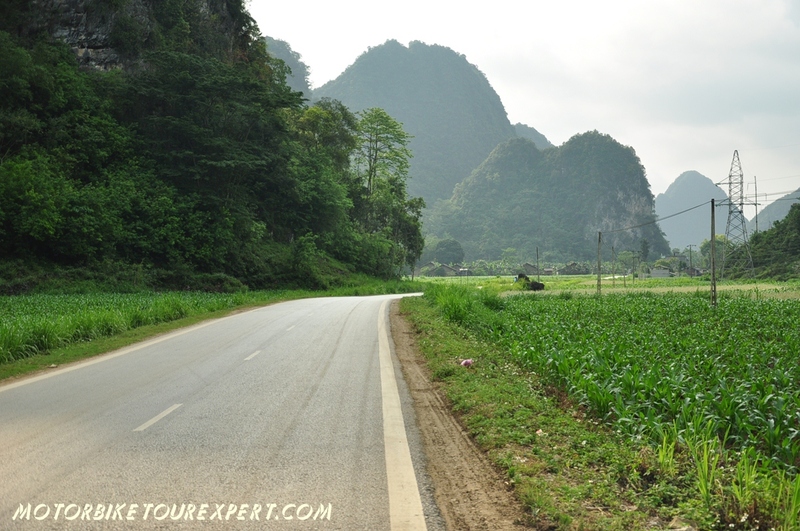 It’s another big day of the tour but it offers different things and view from what you’ve experienced on the days before because will no longer ride motorbike on Ho Chi Minh trail but motorcycling mostly on the mountain passes and countryside back-road…We’ll visit beautiful Mang Den waterfall, stop for a relax and swimming, motorbiking through villages of the hill tribes and crossing the Violac pass with 1300m high also it’s a border of Kon Tum and Quang Ngai, it’s another highlight of the this 8 day motorcycle tour from Hoian Vietnam. Stay overnight in hotel. We’ll start the final day of this great motorcycle tour in Vietnam from early morning because we’ll have a long and busy day of visiting historical sites and crossing the water by ferry. The first stop is the famous My Lai village where the American troops had a mass killing of between 347 and 504 unarmed civilians in South Vietnam in 1968, after that we’ll have enjoyable motorbike ride on the coastlines, crossing by local ferry go on small island with many shrimp Lake of local family, take another local ferry go on small roads along seaside before heading to Da Nang. We’ll end the tour and say good bye to the team of Vietnam Motorbike Tour Expert in Da Nang or Hoi An at around 4:30 pm. Please tell us which kind of bikes you would like to ride and how many people in your group then we will give you the right price of the tour!